My journey to Armenia and to United World College (UWC) Dilijan started in August 2015, when I put myself on a plane from Belgrade to Yerevan, to a country I knew little of. I felt scared and excited. In the coming months, I would learn that Armenia and the UWC movement would become the roots from which both my pessimism and optimism about the world would grow. Today, I can say that United World College is not only a school that I attended, but also my lens for analysing issues of intercultural dialogue, prejudice, and conflict. This post is about my personal story, a story I proudly share. The mission of United World College is to make education a force to unite people, nations and cultures for a peace and sustainable future. Established in 1962, the UWC movement is based on the ideas of educationalist Kurt Han who believed that the atrocities of the Second World War could be avoided in the future if youth from all over the world are educated together by the same values of peace. I consider myself lucky to have attended one of the UWC schools in Armenia. Located in the Caucasus region, Armenia is a small country with around three million people. It is a developing country, which is currently at war with neighbouring Azerbaijan over the territory of Nagorno-Karabakh. It is a country with a very young population, who live simply and who are willing to share what little they have. Proud of their customs and traditions, Armenians express themselves through their clothing, architecture, and daily interactions. Hospitality and an appreciation for their own traditions and values makes these people extraordinary. Within this setting, I spent two years. UWC Dilijan transformed me into a different person for variety of reasons. The ethos of the United World College, the setting of rural Dilijan and developing Armenia, the demanding International Baccalaureate (IB) curriculum, and, most importantly, the numerous “stories” which had to be heard. 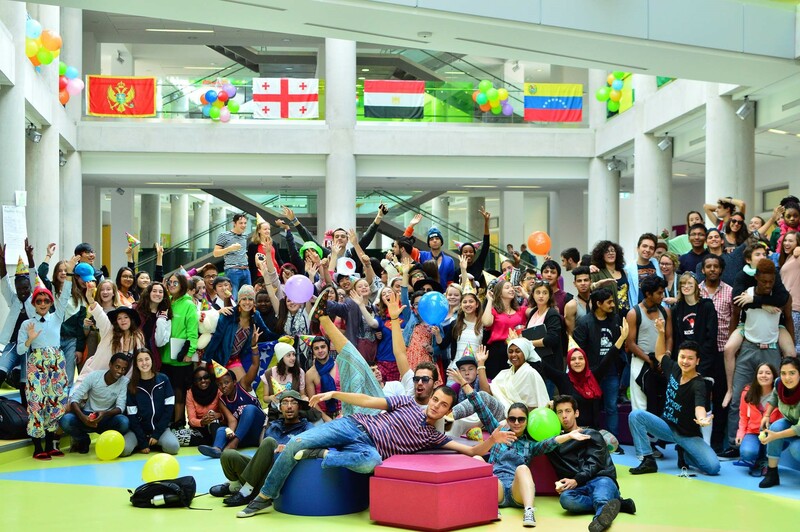 My school was attended by around 200 students coming from 74 different nations, and each of us had a story to tell. A story about our country, our food, our religious stances, and our political beliefs. Each of us considered UWC Dilijan to be a safe space to express our opinions and thoughts. I remember carrying my country’s flag on many occasions, not as a symbol of nationalism, but as a symbol of identity and belonging, which I could freely express, and allow my flag to tell my story. Not knowing about a certain contemporary conflict which framed another student’s story made me ashamed. I started reading a lot and learning a lot. Do not get me wrong, there was no shame in not knowing. My shame laid in being unaware of the problems which people on the other side of the world experienced. My strive for knowledge grew. The reality was, we were taught different facts about the war....That is when I realized that stories matter, perspectives matter, and one single truth does not exist. Besides my personal story, the story I had to tell was about the wars in Bosnia and Kosovo. [i] As a Serbian, this does not always come easily. This story involved not only me, but also my new friends from Croatia and Bosnia and Herzegovina. Once we had a conversation about Yugoslavia and my Croatian friend stated a fact about it. In my head, I thought: “No, that is not what happened.” The reality was, we were taught different facts about the war. His perspective influenced the way I perceived the past of my own country. That is when I realized that stories matter, perspectives matter, and one single truth does not exist. 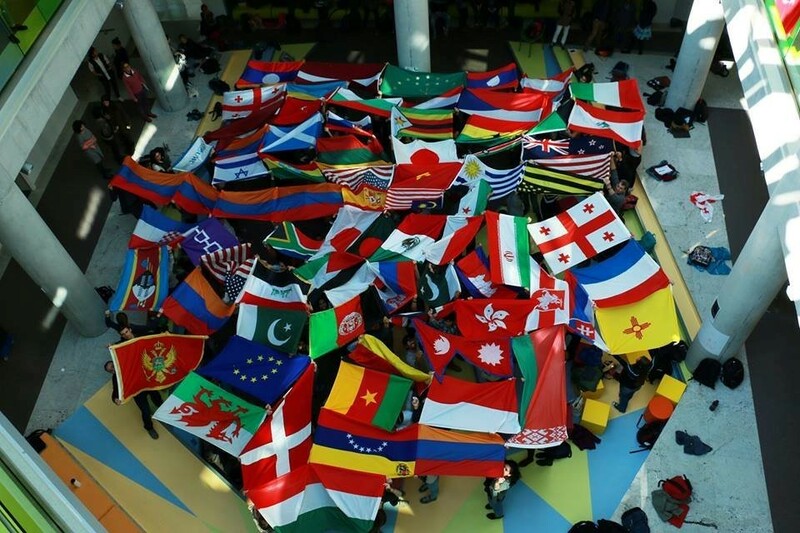 By having people from 74 different nations in my close surrounding, not being conscious about different cultures and perspectives was not an option. Sharing a history class with peers from Russia, Switzerland, Armenia, Slovakia, Italy, Lebanon, and South Africa made me conscious about every word I said. Initially, thinking whether my sentence would offend anyone, be too judgmental, stereotypical, or prejudicial required effort. After a year, I made no effort. My surrounding ingrained in me the notion of cross-cultural communication and respect for people and their cultures. Through these stories and within our international classrooms, my classmates and I discussed many global issues and challenges, particularly those in front of our eyes in rural Dilijan. However, we struggled with solutions. We could understand the Nagorno-Karabakh war and talk possible solutions, but we had no power. I could listen to my Palestinian and my Israeli friends talk about the Gaza Strip, but could I change anything? No. As a group of 200 students from all parts of the globe, we identified and questioned many of the political, economic, and cultural problems in the world, but the biggest question was whether we could change anything at all. That is when my pessimism began. We did take small steps towards solutions. Groups of students: 1) led the school’s Global Affairs committee to increase awareness of many conflicts; 2) spent a week helping a non-governmental organization (NGO) build a house for an Armenian family; 3) worked with disabled children once a week; 4) organized focus weeks related to sustainability, inclusivity, national symbols; and 5) taught English to Armenian youth. All of these are examples of small initiatives that students undertook, small initiatives which did not necessarily change the world, but temporarily made the world a better place. That is when I realized that examining global challenges and developing an understanding of how these problems vary across the world is crucial. I also realized that these small initiatives were a first step towards solving larger challenges. At this point, my optimism resurfaced. The UWC movement is fuelled by the extraordinary way of teaching young students how to be critical, outspoken, and self-aware. The movement promotes the same values of peace and cultural respect that transform and lead the everyday lives of its students. It seeks to erase borders, decrease divisions and increase inclusivity and diversity. In this way, UWC Dilijan taught me to face realities and world divisions that I could neither overcome nor tackle. UWC Dilijan taught me the beauty of simplicity and tradition, but also the roughness of the war; the Armenian gata and dolma, but also the pomegranate wine; love and happiness, but also sadness; everyone and everything, but also nothing. I would not change a moment of this experience, for it has now become a part of my story. So has Armenia. Anđela Draganić is a part of the first cohort of CELL Young Researchers, and began working with the team in September 2018. She is a student of Liberal Arts and Sciences at University College Maastricht. Her focus is on Peace and Conflict Studies with a minor in Security Studies. She has completed an International Baccalaureate at United World College (UWC) Dilijan, Armenia. Her experiences in Armenia mainly led to her interest in peacebuilding and reconciliation in regions impacted by conflict. Anđela is also focused on the inclusivity of education. She is working with UWC Serbia and the Organization of Serbian Students Studying Abroad to spread potential educational opportunities to her peers in Serbia. Anđela is currently working on issues of internationalisation of Dutch institutions of higher education, with a focus on Maastricht University. [i] This designation is without prejudice to positions on status, and is in line with UNSCR 1244/1999.